J.D. Hutchison has been called “One of the most famous performers nobody's heard of.” In fact, although he has chosen to live a quiet life in the Appalachian hills, J.D. has had a profound influence on four generations of musicians, from coast to coast, through his live performances, his early still-collected recordings with The Hutchison Brothers, and through the recordings of his remarkable compositions by Hot Rize, Robert Earl Keen, KT Oslin and more. His capacity for the singular turn of phrase assures his place as one of the original songwriters and performers to come from the music now called Americana. J.D. 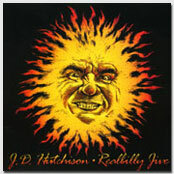 Hutchison and Realbilly Jive’s latest CD, You and The World Outside, is a collaboration between J.D. and the band and longtime friend, Grammy winner Tim O’Brien. 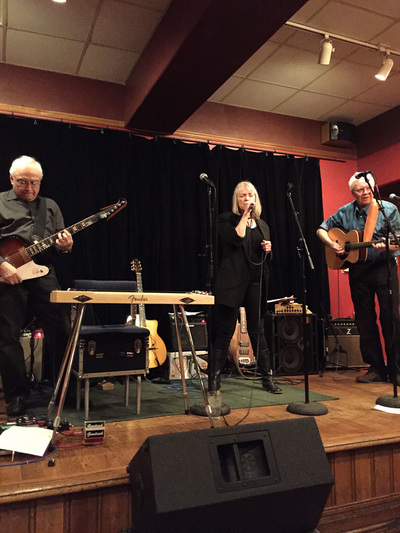 Realbilly Jive features Mimi Hart (vocals), John Borchard (guitar and steel guitar), Dave Borowski (bass and vocals), and Jim Smailes (guitar and vocals) and brings together a wide range of musical influences, tastes, and experiences to form a singular and expressive whole. 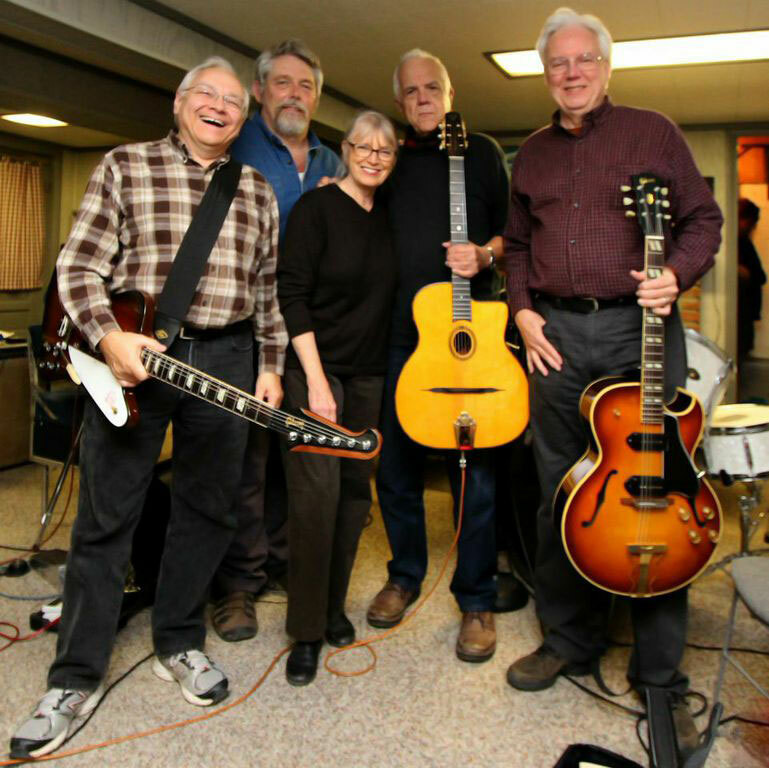 Blues, bluegrass, folk, country, R&B, ‘50s and ‘60s pop, Western swing, and Appalachian mountain music are apparent in their repertoire – in addition to a large number of J.D.’s original compositions. The arrangements of twin guitars parts, plenty of lovely harmonies with a mix of lead singers, makes for a rare night. When added to J.D.’s lyrical and musical sensibilities, the result is a unique amalgam and expression of a large swath of American music. And now: right in our own backyard! Hmmm. I dunno. NOTHIN, really. But, then, as we are told by the MASTERS OF OLD: The Brain is in the BASEMENT. Huh? Ennyhoo—I met the good Borchard some time ago (right before they invented WATER, as I recall). He was a spirited little tuba disgruntlement of the ne plus ultra proto-hip strain, and showin some strong signs of a troublesome penchant fer the puzzlement of STRINGS, upon which he hadda lick er so figgered out. Then he started GETTING MARRIED and stuff, disappearin (terminally, I thought) into the pre-Cambrian recesses of the great state of TEXAS. Then damn if he didden show up again, likin LEFTY FRIZZELL (which was OK w/ me). I said, I thought you was DEAD; and then HE said, I thought YOU was dead. And maybe we WAS. Then, shortly thereafter, up popped BUBBA and JIMMIE, a couple of veterans—like my OWNself—of a buncha DEEP-OHIO SWILLJERNTS, and about as many BANDS. Bubba was in the midst of a new and fruitful affair with the UPRIGHT BASS, and manifestin his lifelong affinity fer Frank Sinatra, Dean Martine, and the whole gilded panoply of CROONERY in general (which was OK w/ me). Jim, on the other hand, seemed fascinated by whonose what. Even yet he remains fairly unfathomable [both musically and conversationally] to me and my somewhat limited resource. I think he likes BMWs and a buncha crap like that. As fer MY part---hmm. Hangin around, as per usual. Just ANOTHER BLUEGRASS TRAGEDY. I’m really glad these guys are here—they make me feel so NORMAL. Be all that stuff as it MIGHTA BEEN, here’s some ditties we have made for you. Hope you LIKE em. One way or the OTHER—for the BETTER or the NOT-QUITE-AS-GOOD—here they are. An Ohio native from the small town of Coshocton, Jim comes from a musical family, though with a limited exposure to country and the blues. He got serious about guitar when the Beatles hit – didn't everybody? 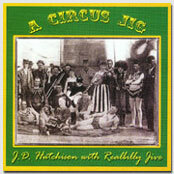 With Hart and others, formed Hotcakes. Toured the East Coast with The Paula Lockheart Band. With Borowski and Borchard, performs in The Wingnuts, a band celebrating 30 years in 2016. 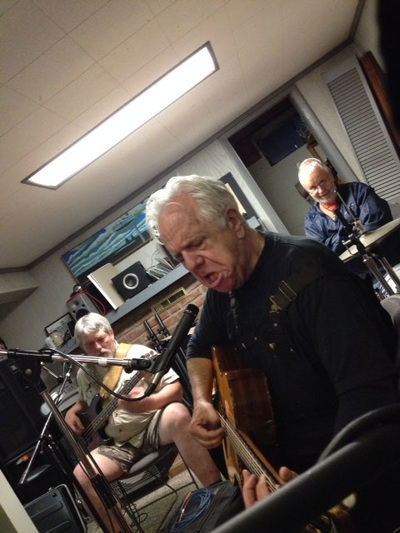 Jim enjoys and is proficient in a variety of musical styles. He moved to Athens, Ohio, for the first time in 1969, kept coming back between travels and is now here to stay. Now living in Vermont, he is the drummer for the Vermont Vaudeville house band, Granite Junction, The Can-Am Jazz Band and the mandolinist/vocalist of Beg, Steal or Borrow, a tribute to Old and in the Way. Geoff has performed on Mountain Stage and collaborated with autoharp legend Bryan Bowers. His family outfit, The Goodhues’ Band will perform in June 2016 at the Mountain Laurel Autoharp Gathering in Newport, PA. In 53 years of playing guitar, John has performed in music communities across the country and Europe. He cut his teeth on blues and rock music as a teen in Chicago in the ‘60s and assimilated country and bluegrass influences upon moving to southeast Ohio. There he met Mimi, J.D., Jim, and Dave, playing in various groups with them and others. After short stints in the San Francisco Bay area and Boston music scenes, he spent 13 years further honing his craft in Austin, Texas, in the ‘70s and ‘80s. He now resides in Athens where he is elated to play music with this collection of life long friends. From a family of singers, Mimi jumped into performance at seven with her two older sisters, Georgia and Anne, who taught her some guitar chords. 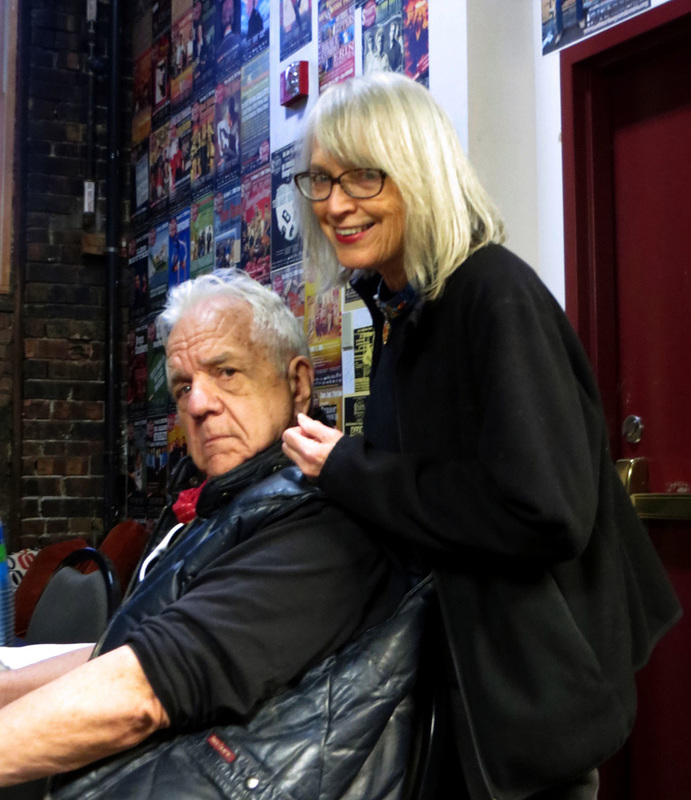 She played her way into folk music, arriving in Athens in 1967 where she, Borchard, and others formed Bruce and Mimi and Friends; sang throughout the northeast and NYC with the Paula Lockheart Band and returned to Athens to join Smailes in Hotcakes. She also toured with The Bopcats, sang backup with The David Bromberg Band and recorded and toured with The Allman Brothers Band. Her group, The Local Girls, plays regularly and has performed at the White House and on NPR’s Prairie Home Companion. Dave plays bass and sings with Realbilly Jive, providing harmony and is occasionally the featured vocalist on some of J.D.’s songs. He has recorded and performed regionally in jazz, swing, country, and blues bands since the mid-1970s, and also performs with J.D.’s nephew, mandolinist Zeke Hutchison. 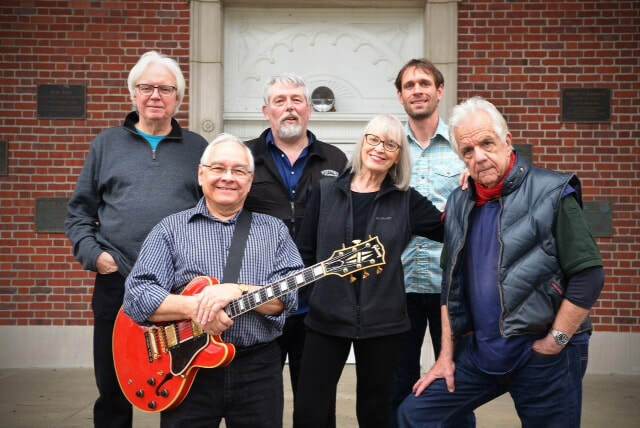 He is a founding member of the Cleveland-based blues band, Aces and Eights, and Athens' premier roots rock band The Wingnuts, which also features Borchard and Smailes. Read more about JD on this page.